Caring for people impacted by Alzheimer's Disease and other dementias was my speciality as a nurse practitioner. I am Carmen Buck and my business is Carmen Buck Photography. I am a portrait, lifestyle and humanitarian photographer working with families and businesses. During my 40 years as a holistic nurse practitioner, I worked with thousands of people seeking meaning and purpose during challenging times. I draw on this tohelp you find connection and happiness in your life through photography. I am an international speaker and author on the topics of meaningful living and photography. My upcoming book Just See Me-Sacred Stories from the Other side of Dementia will be released early 2018. I had the honor of photographing the Walk to raise funds for Alzheimer's Texas. As published in Alzheimer News Today! This press release was published in over 400 journals, magazines and blogs! People are interested in ways to create meaning during challenging, difficult times. Most of us know and love someone who has dementia or is a caregiver. I interviewed 13 families living with dementia and learned so much! While each of their stories are unique, they all valued the portraits of their loved ones. The described the portraits and experience as 'priceless.' They consistently told me they weren't really too excited about the pictures to begin with. However, things changed once we took the pictures and they saw them. "I didn't realize how much I would want to remember this time of our lives." "I am so glad we did this. I can't imagine not having these." "These are a gift for me and for our family. I'll treasure these forever." More than 5 million people in the United States are living with Alzheimer's Disease. Alzheimer's Disease is the 6th Leading Cause of Death in the United States-more than breast cancer and prostate cancer combined. Alzheimer’s Texas provides information, referrals, and a variety of support programs for those with Alzheimer’s disease and related dementias, and their family members, caregivers and professionals. 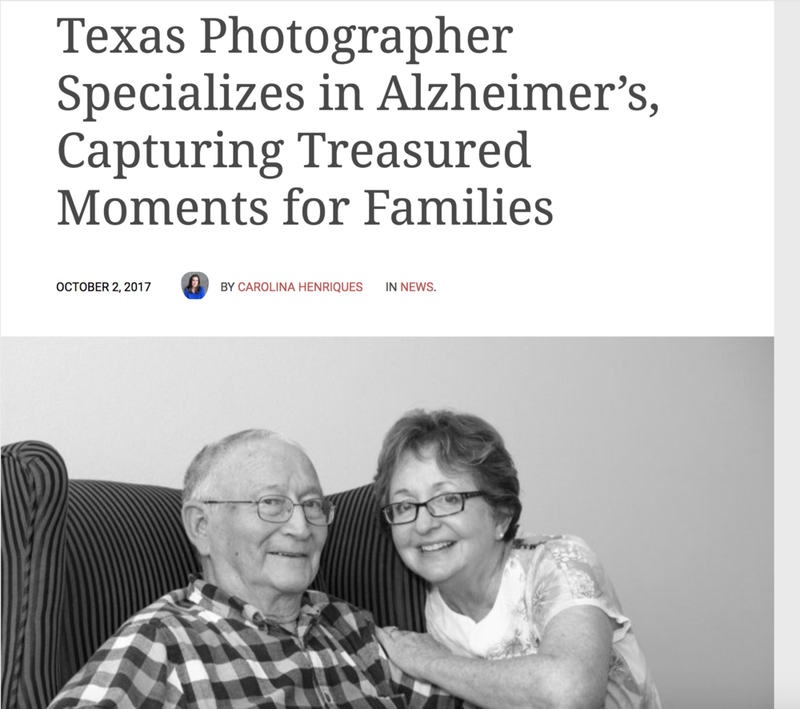 Alzheimer's Texas* has proudly served Central Texas since 1982.